After the 1st World War, The terms of surrender, imposed trough The Treaty of Versailles, prohibited Germany from producing any form of military machinery, including vehicles. This also meant, no large capacity motorcycles. The rising German administration of the 30's needed military equipment and thus developed a strategy to get around the restrictions by pursuing joint ventures with Russia . This was achieved by the signing of a 7 year trade agreement known as the Molotov- Ribbentrop pact, formally known as the Treaty of Nonaggression between Germany and the USSR . It was signed in Moscow on 10 ;23 August, 1939. At this time BMW's cooperation with Uralmoto Zavod was limited to the production of the BMW R71 classical motorcycle. They kept the newly developed BMW R75 secrets for themselves. The non-aggression treaty lasted until Operation Barbarossa of 22 June, 1941 when Nazi Germany invaded the Soviet Union . In response, Russia joined forces with the Allies against Hitler. 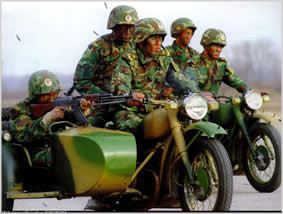 Russia retained certain BMW tooling and designs for the R71 motorcycle, and the Russian militarized R71 versions was designated the M72. This bike was almost identical to the BMW R71, and also featured the familiar horizontally opposed, 746 cc flat twin, side-valve engine. In the spring of 1941 the BMW R75 was introduced. Built according to German war ministry instructions, without cost limitations. This high performance war machine had incredible off-road capabilities. The Wehrmachts new ride was soon recognized as one of the best motorcycles ever produced. They offered unprecedented mobility, performance and reliability on the battlefield at that time. 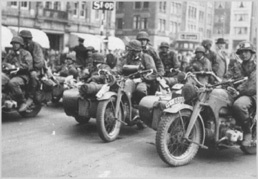 Even Harley-Davidson copied the BMW design and delivered about 1,000 Harley-Davidson XA (Experimental Army) flat-twin shaft drive motorcycles to the US Army during World War II. Having a great bike couldn't help the Germans win the war. After the German surrender, the Allies had full access to the shattered remains of Germany 's once impressive automotive industry. 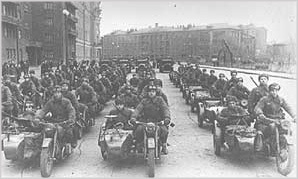 The BMW motorcycle factory, which had been relocated to Eisenach during the war (and producing the BMW R75), fell into Russian hands as Eisenach was in Russian occupied territory. The Russians took possession of all the BMW blueprints and tooling, and shipped the few remaining BMW R75 motorcycles and all the production parts left at the factory back to Russia . 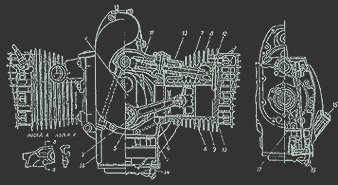 The R75 dual wheel drive system design technology was also then apparently used to create the relatively advanced, Russian military dual wheel drive overhead-valve “Ural” and “Dnepr” models . The Ural story begins in 1939, with the pre-WWII planning of the USSR . The Soviet Union knew it would soon be going to war (despite the Molotov-von Ribentoff Pact), against the german Third Reich Germany . Joseph Stalin ordered the military to prepare in all areas, including the ground forces that would be defending the Russian "motherland " against the invading German Panzers, ground troops, and German special forces. Having seen the effects of the & quot ;Blitzkrieg &quot ; against the Polish Army, mobility was of paramount importance! A meeting was held at the Defence Ministry of the USSR and the topic of discussion was what a model of motorcycles was going to be the most suitable. The Red Army wanted to modernise their equipment after termination of the military conflict with Finland . The motorcycles used so far had not worked satisfactorily, their technology was outdated and the manufacturing quality left much to desire. The BMW R71 motorcycle was found to most closely match the requirements and 5 units were covertly purchased through some Swedish intermediaries in neutral Sweden and copied. Soviet engineers in Moscow dismantled the BMWs. They copied the design in every detail and made moulds and dies to produce their own engines and gearboxes in Moscow . Everything about the bike was reversed engineered and early in 1941 the first trial samples of M-72 motorcycles were shown to Stalin and the decision was taken to produce them. 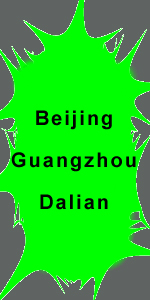 During 1950, the Chinese & quot ;Peoples Liberation Army Beijing No.6 Automotive Works&quot ; had been attempting to develop a suitable military motorcycle by "reverse engineering" a Zundapp KS500 military motorcycle. The Chinese KS500 based machines entered production in 1951, and in total 4248 machines were built before responsibility for the manufacture of military motorcycles was transferred to Hongdu Machinery Plant and the Xingjiang Machine Plant. Both of these factories are subsidiaries of the State-run aeronautic manufacturing industry to this day. Back in the USSR, now that the side-valve model had become obsolete, manufacture of the old M72 (BMW R71) was offered to their Chinese communist neighbors who wasted no time in dropping the KS500 based machine for the tried and tested BMW R71/M72 design motorcycle. The BMW R71/ M72, renamed the & quot ; Chang Jiang &quot ; entered production during 1957 at the Chinese Nanchang aircraft factory. similar in design concept to the BMW /2 engine entered production at the China South Aero engine plant. Chang Jiang means the Long River (Yangtze River) and was the name given to the Russian built Ural M-72 after China took over production of the motorcycle in the 1950's. The Russians themselves having reversed engineered the bike from the German built BMW R71 model 1938. The Chang Jiang 750 is basicly a BMW R71. Equipped with a 4 stroke, 746 cc flat twin, side-valve engine. 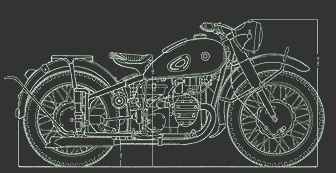 The twin-cylinder side valve "Flathead "engine, is the original BMW & quot;boxer engine&quot ; design principle. However, The CJ 750 M 1 that is being built today, is a not a direct copy of the 1938 BMW R71 but a copy of the Russian built Ural M-72. The Chinses built CJ 750 comes in three types, the M1 (24 HP 6V), the M 1M (24 HP 12 V) and the newM1S OVH (Super Over Head Valve 32 HP) . The M 1M is a slightly modernized version with a proper distributor and 12V electrical system while the M1S is an OHV machine with a 32 HP engine. The M1S OHV has been modernized and is still widely used among PLA and Chinese police.